Top Chefs Agree: Love Real Food. Embrace Wild. 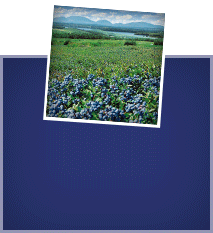 Learn what makes the little lowbush Wild Blueberry so special and different from the “tame” highbush cultivated blueberry in Bob Duschesne’s Wild Maine interview with blueberry specialist, Dr David Yarborough from the University of Maine Cooperative Extension Service.